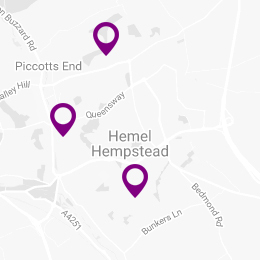 When you first visit Hemel Smile Studios, you will have an extended appointment. This will enable you to complete some paperwork and spend a little more time with the dentist. You will need to tell us all about your medical history, so we can check your suitability for any treatment that may be required. Your dentist will take a look at your mouth, inside your cheeks and inspect your tongue, to check for signs of oral cancer. They will also carry out an external examination of your neck and jaw to pick up anything unusual. Your dentist may take x-rays, so they can look for hidden issues, such as loss of bone volume. If you don’t need treatment, you will be offered a scale and polish, as part of Band 1 treatment under the NHS. After the examination, the dentist will explain their findings and discuss your treatment options, including how much they will cost. We will give you a printed treatment plan, which you will have the opportunity to read and then sign. We will send a text or email reminder 72 hours before your next appointment so you don’t forget to come and see us. Please let us know if you have any questions or are worried about any aspect of your dental health between appointments.